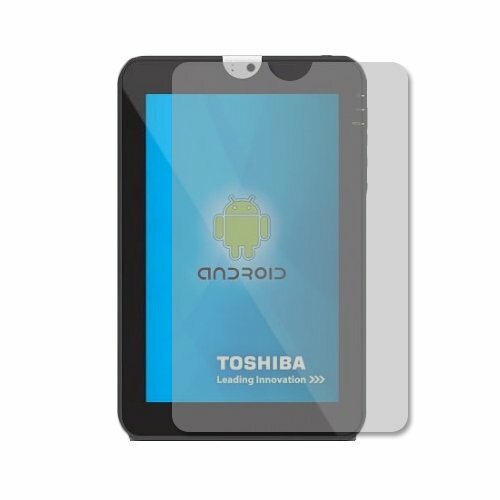 Add protection from dirt, scratches and the elements with the genuine Toshiba 10″ Tablet Screen Protector. Form fit premium film is easy to apply and remove, and will not leave any sticky residue. No liquids or special solutions are necessary. 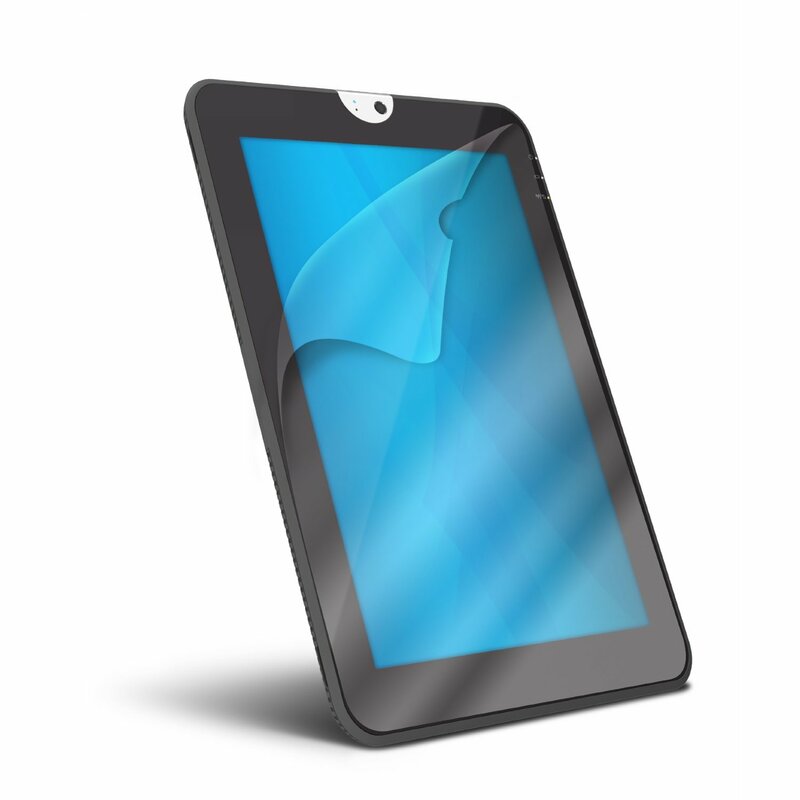 Another added benefit is that the screen protector is customized for optimal performance of your Toshiba 10″ Tablet camera and Toshiba Adaptive Display technology. Enjoy full-functionality and peace of mind too. Skinomi TechSkin goes beyond traditional screen protectors, skins, covers, and cases. This protector is made from clear thermoplastic urethane film – the same film used to protect military aircrafts and NASA space shuttles. It has the ability to resist high levels of abrasion, making it the ultimate protector for gadgets and devices. The film “scratch-proofs” your device without adding bulk like traditional cases. Skinomi TechSkin is designed to provide lifetime protection for your device. If the film ever wears or scratches, Skinomi will replace it under the Lifetime Replacements Program, for as long as you need it for your device. If you ever need to remove the TechSkin, it peels off easily leaving no residues unlike other screen protectors or skins. The Skinomi Natural Wood Series Protector Film uses the latest break-through in mobile protection to provide a lightweight, protective barrier against damage to your device. At just .1 millimeter in thickness, the protective skin was engineered to withstand scratches, nicks and scrapes, without adding unnecessary bulk. Featuring a classy, professional, and nature-inspired look that not only looks natural but is texturally identical to actual refinished Pine or Cherry wood, the film goes through a rigorous manufacturing process to provide accurate fitment and to allow full access to every function your the device. Installing the Skinomi Natural Wood Series Protector Film is easy and does not require liquid solution. The adhesive-side of the skin is specially engineered with a grid-like pattern that allows air bubbles to escape during installation. This grid helps the skin adhere completely to the device by extracting gaps and pockets of air, which in turn prevents unsightly peeling. 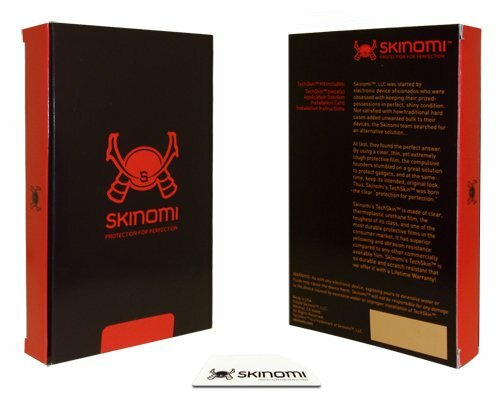 The Skinomi Natural Wood Series Protector Film is a high-quality protective film and not a case. Stand out from the crowd with a colorful rubberized back cover. Personalize with your choice of five vibrant colors: Silver Sky, Blue Moon, Green Apple, Raspberry Fusion and Lavender Bliss. 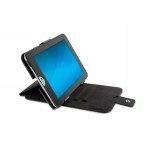 Each is user-interchangeable and designed exclusively for your Toshiba 10″ Tablet with a slip-resistant easy grip surface. 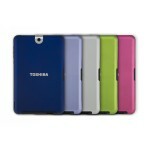 Get the most of out of your tablet experience with the Toshiba Tablet Portfolio 360 Case. 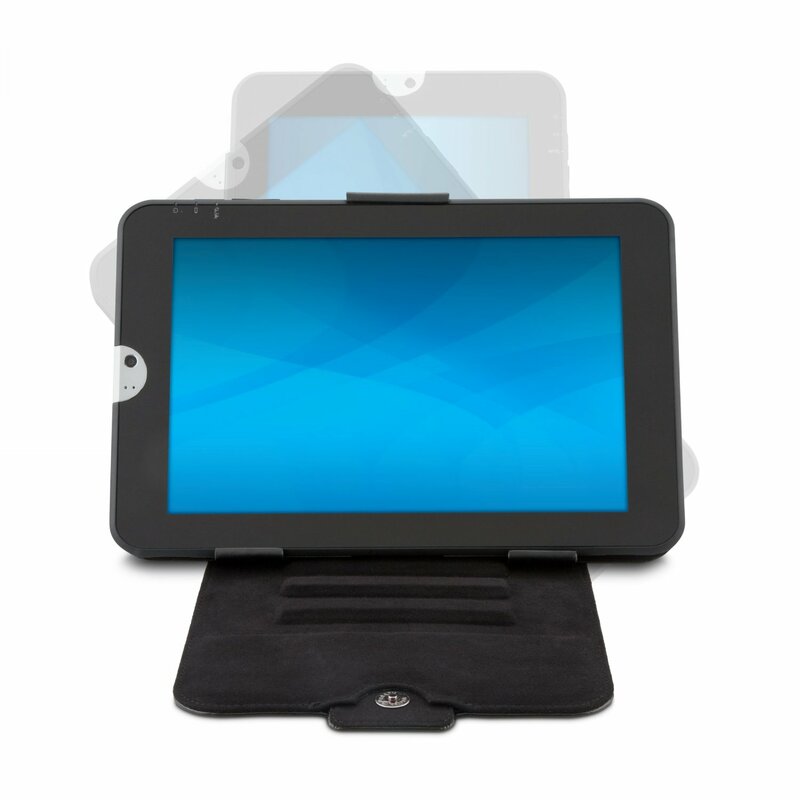 The patent-pending rotating design enables you to position your tablet at multiple viewing angles in both landscape and portrait mode without removing the tablet from the case. It’s perfect for movie watching, viewing photos and emailing while in landscape mode and then easily rotates into portrait mode for eBook reading, web surfing and video chats. 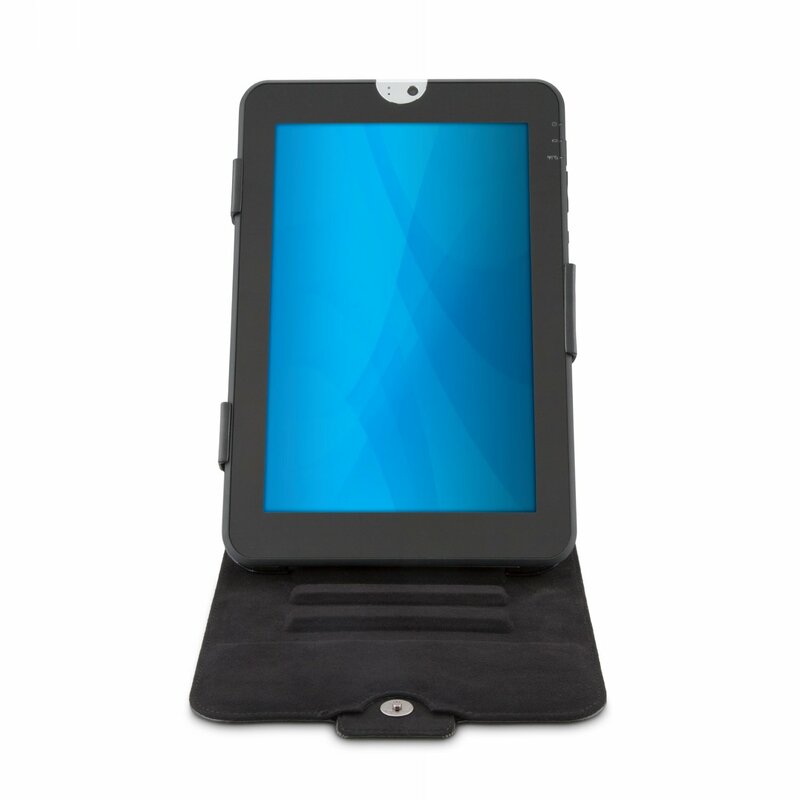 The form-fitting open design allows easy access to the controls and built-in ports on the tablet – On/Off switch, volume control, DC-IN, Audio, HDMI, USB, mini-USB and SD card ports – while the durable hard-shell construction and sturdy reinforced base provides stable support in either mode. There’s even a cutout for the camera to take photos and video while in the case. The Portfolio 360 cases’ elegant design in protective synthetic leather is stylish and the hard-shell exterior construction and retractable magnetic snap closure helps keep your tablet safe and secure while optimizing everyday productivity. 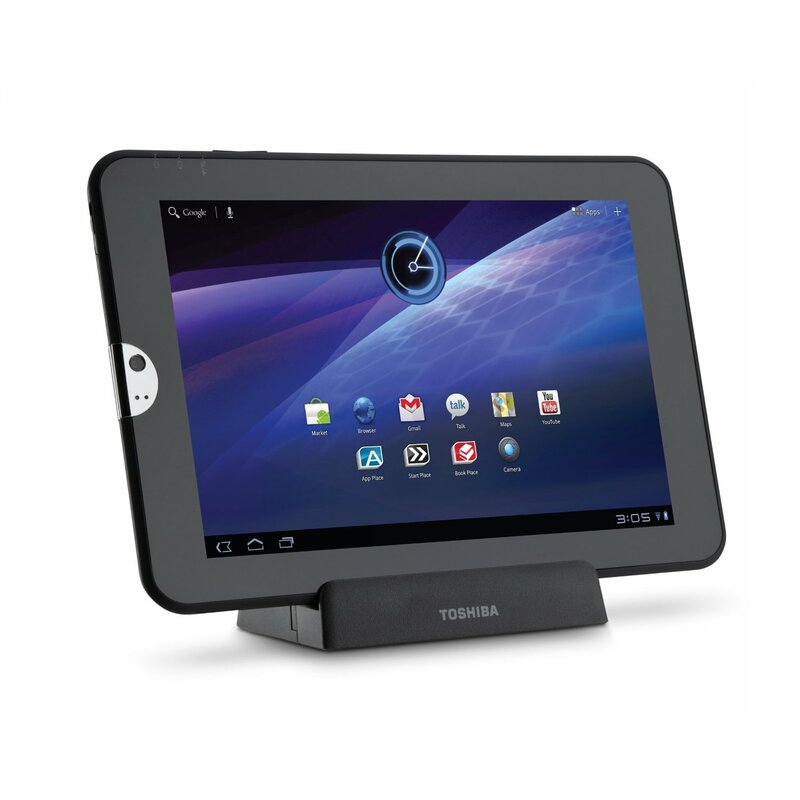 Store, view and charge your Toshiba 10″ Tablet, quickly and conveniently, with the Toshiba Multi-Dock with HDMI. The Multi-Dock has an HDMI port built-in to connect directly to your HDTV or LCD monitor and view full HD content up to 1080p. 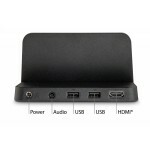 The dock also includes two USB 2.0 ports, for connecting a variety of accessories, and a 3.5mm audio out port for enhanced listening pleasure through headphones or speakers. 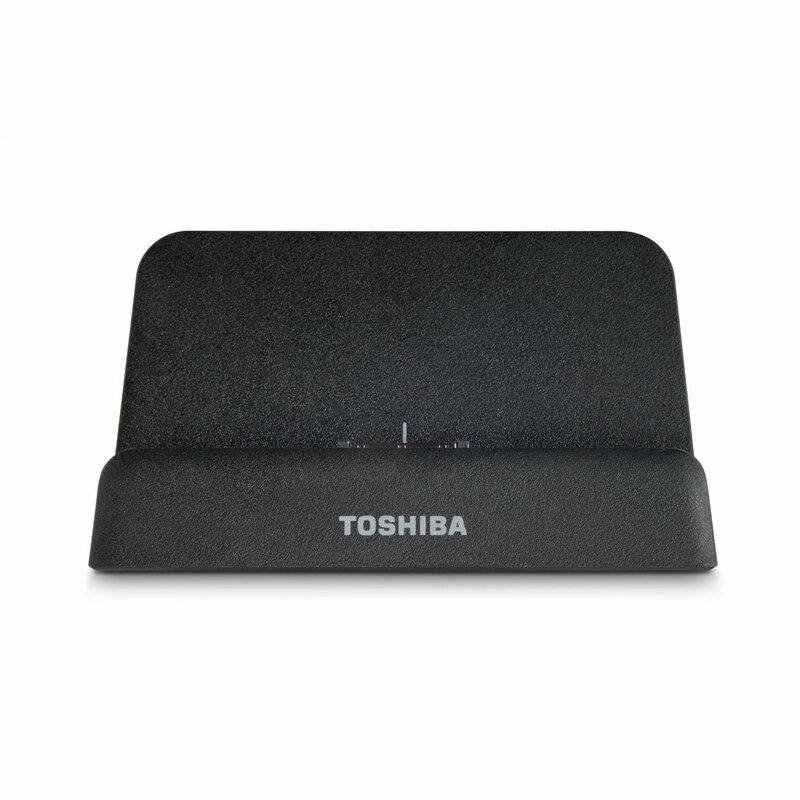 The Multi-Dock’s small footprint and rubber footing make it perfect for the living room, bedroom, office, study, kitchen, dorm room or virtually anywhere. 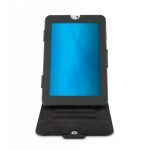 It has an angled design for movie watching, photo viewing, web surfing, emailing, updating your social network site, playing games, or enjoying whatever your favorite HD digital content might be. Docking and undocking is a breeze with the easy access top-load proprietary connector. Just drop it in and let the fun begin! 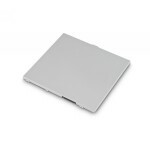 Increase your freedom and boost your mobile productivity with the Toshiba Tablet Battery Pack. 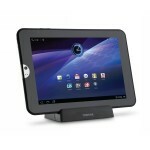 Use it as an additional battery to increase your ‘tablet-time’ or replace the original that came with your tablet. Unlike other tablets, the Toshiba tablet battery is user-replaceable – no need to send it back to the manufacturer to be replaced. Simply remove the back cover and switch it out in seconds. 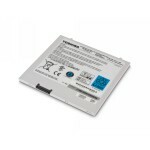 While plugged in, the tablet can charge the rechargeable Lithium Ion battery up to 90% capacity in as little as an hour and a half.This battery pack meets or exceeds the specifications of the original battery that came with your tablet and interfaces with the TOSHIBA Power Saver Utility on the tablet which features a charge indicator to help you monitor the available power. 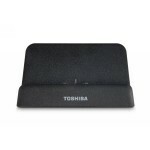 Extend the life of your Toshiba tablet.